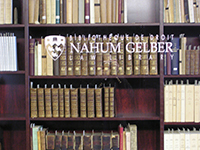 The Nahum Gelber Law Library is fortunate to house a special collection on French law of Ancien Regime, the Wainwright Collection. 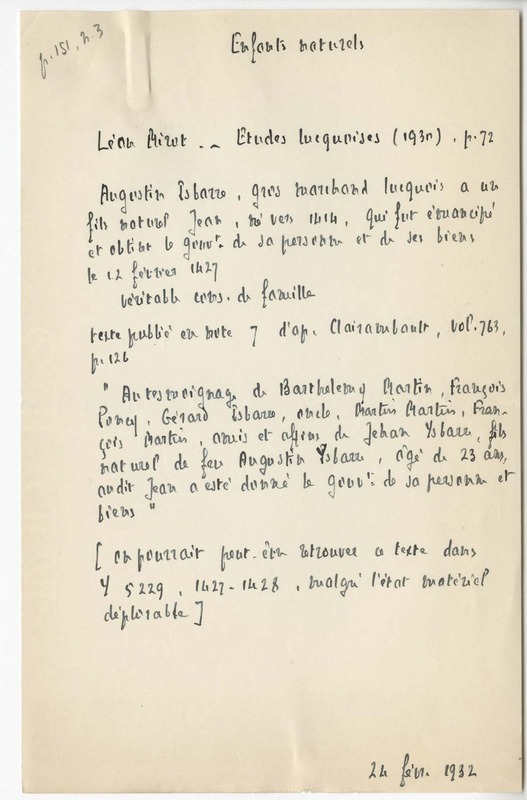 It was formed on a basis of the working library of the renowned French jurist and legal historian Francois Olivier-Martin (1879-1952), doctor of law, professor of the legal history, and a prolific scholar who published more than 60 articles and 9 monographs. The Olivier-Martin’s library reflects with a remarkable accuracy the academic interests of its former owner with three major themes of the collection: French customary law, history of professional corporations, and history of pre-revolutionary French law, which found their manifestation in his three most significant works: Histoire de la coutume de la prévôté et vicomté de Paris (1922-1930), Organisation corporative de la France d’Ancien régime (1938), and Histoire du droit français des origines a la Révolution (1948). Those works, which are unrivaled in their use of primary sources and the breadth of the synthesis, are still widely cited by scholars writing about the history of French law or the history of professional corporations. 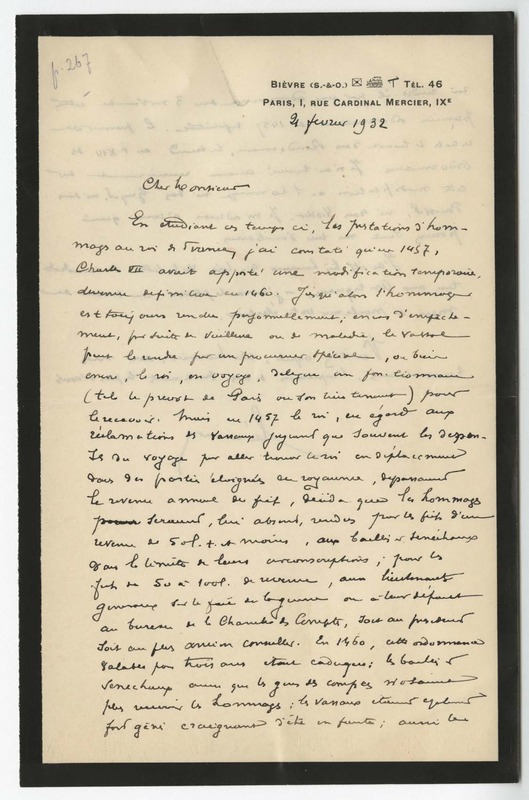 The copies of Histoire de la coutume…, Organisation corporative…, and Histoire du droit français… currently held in the McGill Law Library formerly belonged to Francois Olivier-Martin and bear multiple authorial manuscript annotations. 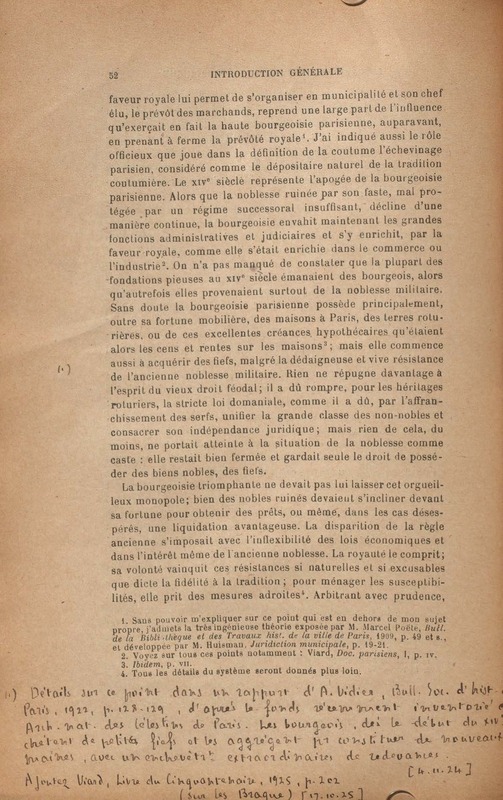 Another feature that makes the McGill’s copies of Histoire de la coutume,and Organisation corporative unique is the fact that they contain more than 100 sheets of Olivier-Martin’s research notes, newspaper clippings, and letters.